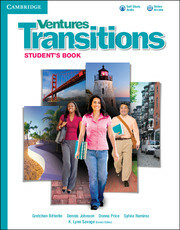 Designed for use with the Ventures series, Transitions motivates low-advanced learners by developing the unique skills for success in either the workplace or college. 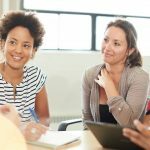 An easy-to-use format combined with a collaborative learning approach makes this material engaging for both teachers and students, and improves learner persistence. 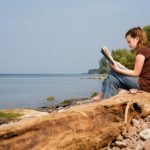 A standards-based curriculum insures high levels of interest thanks to challenging readings and rigorous vocabulary development. Listening lessons in the form of lectures and presentations develop valuable note-taking, summarizing, and critical-thinking skills. 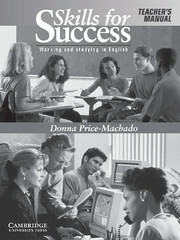 Thorough explanations of practical grammar points make lessons easier to teach and quicker for your students to master.